Prosco Inc. is a company working exclusively with the rubber & urethane industries since 1996. Our goal is to design and manufacture innovative, reliable, and affordable production equipment. In addition, our company represents a number of quality manufacturers enabling us to provide a wide selection of tools and accessories for the rubber & urethane manufacturing needs. We offer products and services in the fields of mechanical, electromechanical, automation design, as well as special repair, modification, and field service of existing industrial equipment. 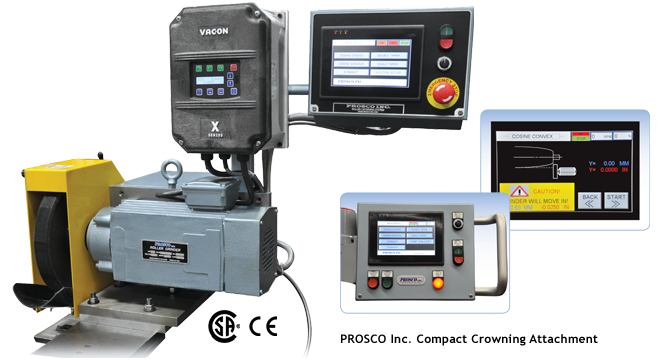 From Roller Grinders, to Elastomer Cutting Systems, to Complete Roller Grinding Machines, our products are custom designed to fit your lathe, which assures quick and easy installation and efficient operation to meet every customer’s specific roller production needs.